The problem with this is that it’s not calling for his resignation, no serious action has happened out of an ethics investigation in years. 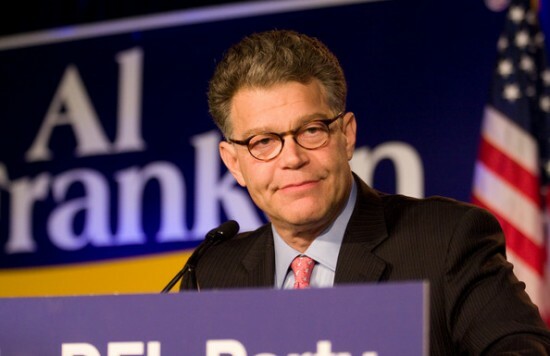 Sen. Al Franken (D-Minn.) faced swift and bipartisan condemnation Thursday and multiple calls for an ethics investigation after a Los Angeles radio broadcaster and former model accused him of “forcibly kissing” and groping her in 2006. Senate Minority Leader Chuck Schumer (N.Y.) said he hopes there soon will be an investigation by the Senate Ethics Committee, which has the authority to recommend expelling a senator. “Sexual harassment is never acceptable and must not be tolerated,” Schumer said in a statement. Senate Majority Leader Mitch McConnell (R-Ky.), who is dealing with his own political fallout from allegations of sexual misconduct against GOP Senate candidate Roy Moore, immediately called on the ethics committee to investigate Franken. McConnell has also not ruled out investigations into Moore if he wins his special election next month despite Republican leaders asking him to drop out of the race.